Festival goers have always faced the difficulty of finding the optimal stay when they visit they’re favorite festivals. People from around the globe who have been to various festivals have always commented on the one problem they always face. Choosing between an expensive hotel which is comfortable and more congenial to them but which is far away from the festival grounds, and a camping tent that is cost-effective and inside the festival but lacks the factor of comfort, has been a tough call, period. Right from an actual bed to climate control, staying in a hotel is always way more comfy except the fact that you usually would have to travel a considerable distance every single time you want to shuttle between your hotel room and the festival, and not to mention the simple fact that staying at a hotel is going to escalate your complete festival expenditure, sometimes even double or triple of your planned estimate. This proves to be one of the major concerns of parking at a hotel. On the contrary, camping sites at the festival grounds itself has the huge advantage of its proximity to the stage and also it is cheap and affordable. Although, if you’re a person who worries about the amenities including your bed and your washrooms, do not consider the option of staying in tents. It is unequivocally not suitable for your requirements! 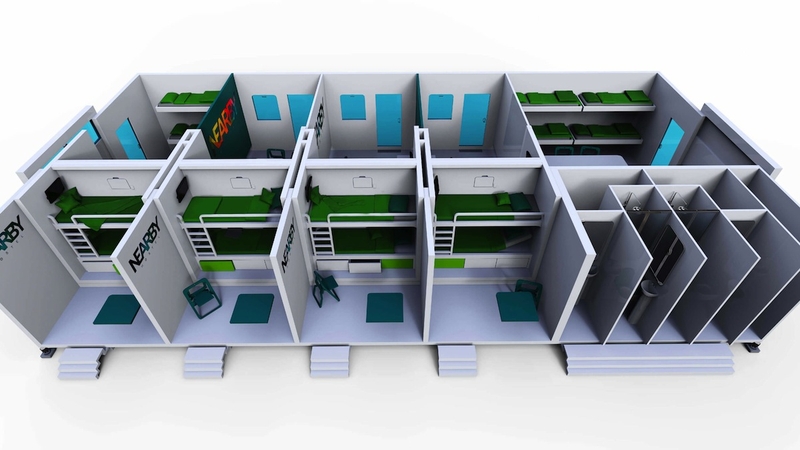 After all these constraints, what if you had an option to rent a little room with an actual bed, an air-conditioner, easy access to a washroom, and all of this right on the festival grounds? Some of the festivals provide onsite cabins, but this is seldom and they often sell out right away since this is the most viable and comfortable stay at the festival. A startup called Nearby is now trying to change all of these and make festival accommodation a rather fun and cosy one. An innovative idea which satisfies the various requirements of the festival goers at a certainly affordable cost. 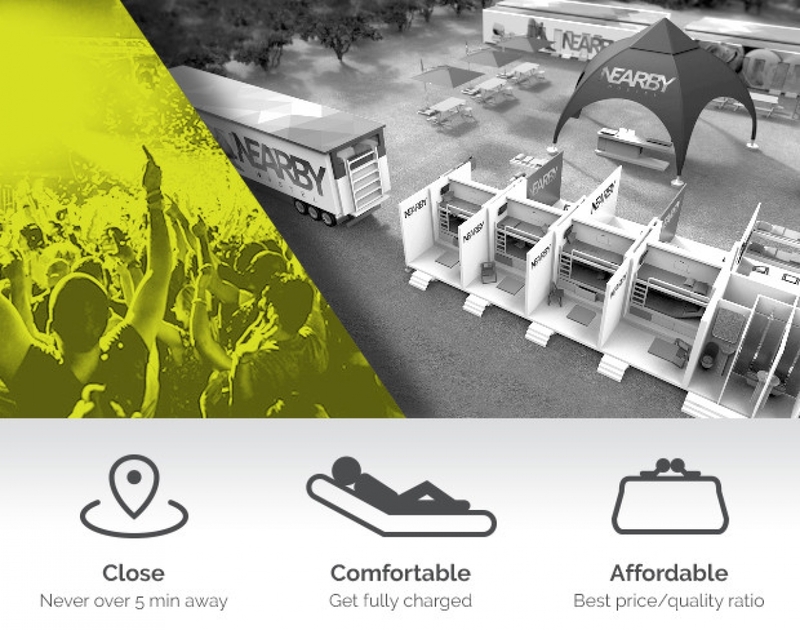 Nearby is planning to construct a unique and creative mobile hostel system for festivals, that will facilitate the festival organizers to rent modular units which can be installed quite conveniently on the festival grounds keeping the renting charges on the shallow side while delivering all the amenities. If all this intrigues you, then log on to this page and support them in their fundraising, and you are ensured sweet rewards in the process.